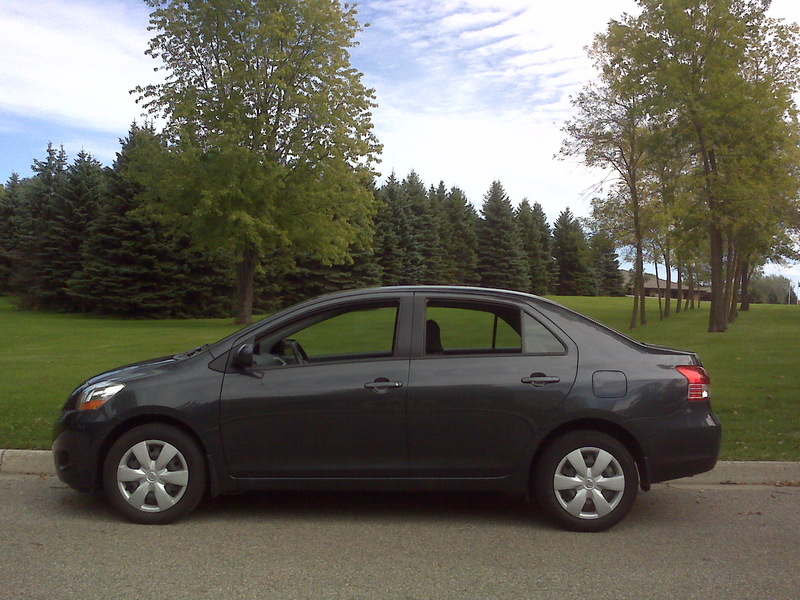 The Toyota Yaris has an early 2011 Auto Reliability GPA of a perfect 4.00 over its 4-year data history and has helped Toyota Motor Corporation tie for first place among all automobile manufacturers in the Early 2011 Auto Reliability Grade Point Averages. See the table below. This page provides detailed 2011 auto reliability ratings and auto reliability rankings in a reorderable table listing most of the coupes, convertibles, sedans, hatchbacks, wagons, sport-utility vehicles, and pickup trucks sold in the U.S. It expresses the auto reliability ratings and auto reliability rankings, and makes available auto reliability comparisons and auto reliability contrasts, using the Auto Reliability Grade Point Average, or Auto Reliability GPA. This auto reliability index is used as it is an easy-to-understand auto reliability measure, and is well known to nearly all persons having attended high school. The page also employs Auto Reliability Grades as a reliability index, as this measure of auto reliability provides a quick assessment of differences in motor vehicle quality. The Auto Reliability GPA is an automobile reliability statistic that is obtained from Consumer Reports' auto reliability survey data summarized in the reliability tables of Consumer Reports: New Car Buying Guide: 2011 and the April 2011 issue of the Consumer Reports magazine. Column reordering on this page is Ajax enabled to make for a convenient and easy-to-use reordering option. The Reliable Two, Toyota Motor Corporation and Honda Motor Company, appear first in the table, because of their rather singular stature; the remaining manufacturers are listed alphabetically. Letter grades are determined thusly: A if the GPA is 3.50 to 4.00, B if the GPA is 2.50 to 3.49, C if the GPA is 1.50 to 2.49, D if the GPA is 0.50 to 1.49, and F if the GPA < 0.50. GPAs for 4 age ranges are given so that the visitor may examine more thoroughly the age range that is of greater interest to him or her, if such there be. Notice how Toyota and Honda products dominate the upper end of the reliability spectrum for all age ranges. The following bar chart depicts each manufacturer's share of the top 30 automobiles by early 2011 Reliability GPAs. Caution When the number of model years of data (appearing in the far right column) for a vehicle is limited to more recent years, the reliability GPAs, Average GPA, and Minimum GPA of that vehicle may be less reflective of the vehicle's reliability over a longer period of time. For example, the Ford Fusion Hybrid has only a 1-year reliability history, so if one is considering purchasing a new Fusion Hybrid but owning it for 6 or more years, it may be better to examine the GPAs of the Ford line in the outer years. Disclosure Site manager is currently a very small shareholder of Ford Motor Company (2010-03-26). I am not, and have not been, a shareholder of any other motor vehicle manufacturer. A PDF version of this page will be made available for downloading and/or printing, if there are several requests for such. The method of computation of the GPAs is probably familiar to nearly every college, technical school, and high school student (at least I hope so). A Grade Point of 4.00 (that is, an A) is given to a Consumer Reports "Much Better Than Average" rating, a GP of 3.00 (that is, a B) is given to a CR "Better Than Average" rating, a GP of 2.00 (that is, a C) to an "Average" rating, a GP of 1.00 (that is, a D) to a "Worse Than Average" rating, and a GP of 0.00 (that is, an F) to a "Much Worse Than Average" rating. A Grade Point Average (GPA) is an average of the Grade Points and is computed using Microsoft's Average(a:b,[c:d],...) function.